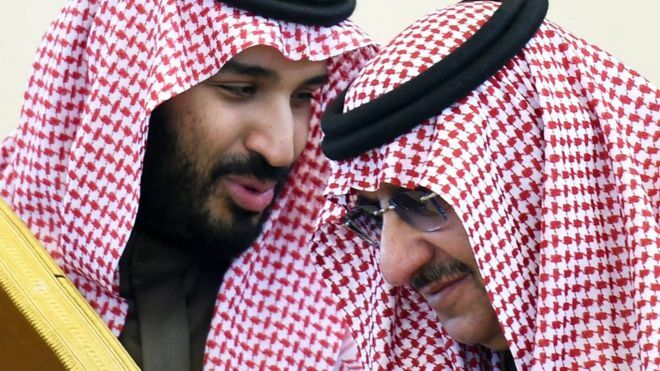 Saudi Arabia's king has appointed his son Mohammed bin Salman as crown prince - replacing his nephew, Mohammed bin Nayef, as first in line to the throne. King Salman's decree also means prince Mohammed bin Salman, 31, will become deputy prime minister while continuing as defence minister. Prince Mohammed bin Nayef, 57, has also been removed from his role as head of domestic security, state media say. King Salman acceded to the throne in 2015 after the death of his half-brother Abdullah bin Abdul Aziz.